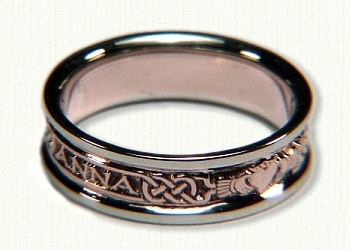 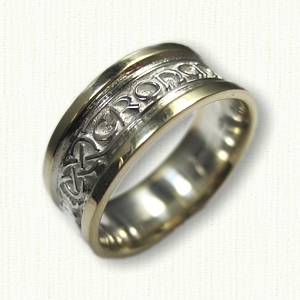 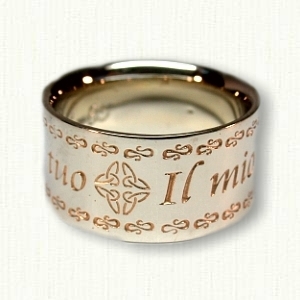 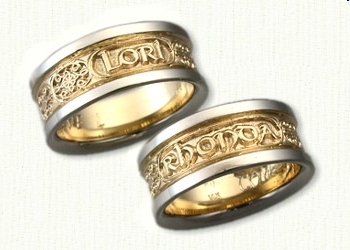 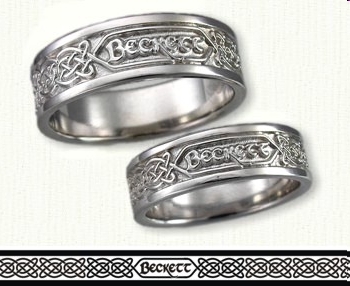 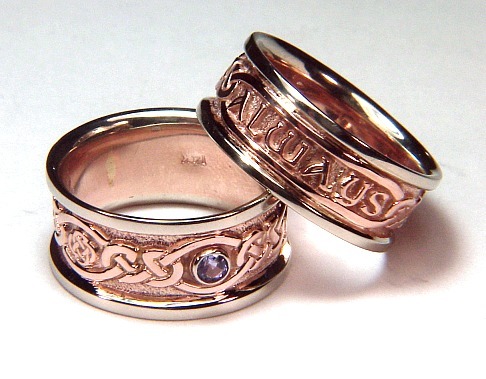 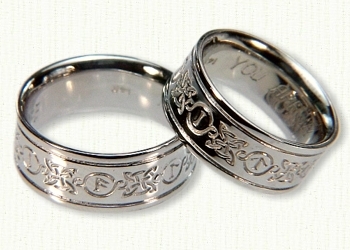 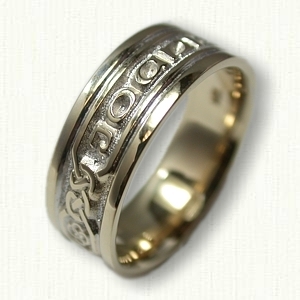 Personalized Celtic Wedding Rings by deSignet - best prices, quality wedding rings online! 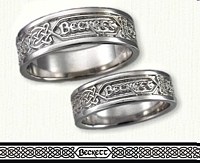 Create your own unique Celtic band using one of the seven deSigns below. 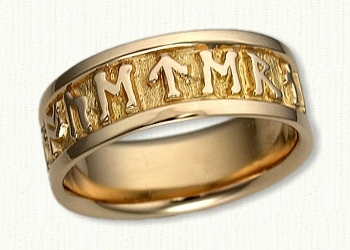 Simply choose a special word or names, your initials or the wedding date, and we can incorporate that into the pattern. 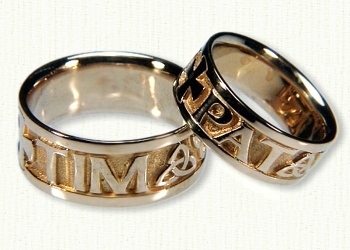 Examples 1 & 2 use a Celtic Moon Rune font. 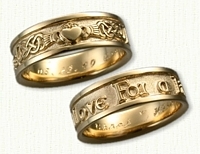 #1 translates to "Eternal Love", and #2 says "Betsy & Mike". 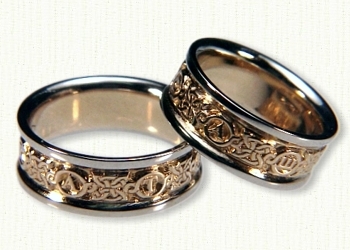 If you have an idea or question, please feel free to E-Mail our Graphic deSigner or call us : 1-888-727-8266. 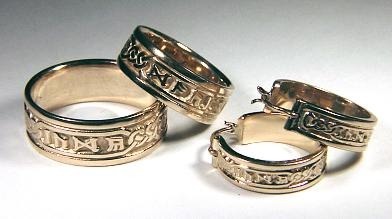 Please view our Customer Testimonial page to see customer comments about these products.